This badge was issued to Ken Hess on 09 Jul 2015. 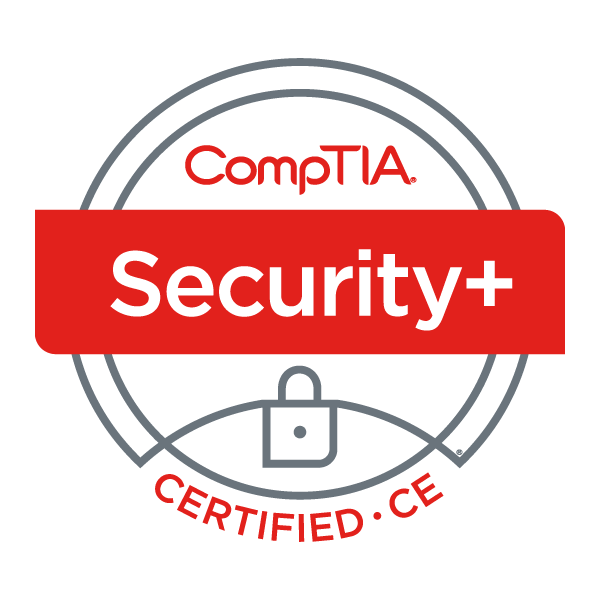 Earners of the CompTIA Security+ certification have the knowledge and skills necessary to perform core security functions required of any cybersecurity role. CompTIA Security+ professionals know how to identify and address potential threats, attacks and vulnerabilities and they have established techniques in risk management, risk mitigation, threat management and intrusion detection. Obtain the recommended experience -- CompTIA Network+ and two years of experience in IT administration with a security focus. Achieve a passing score on the CompTIA Security+ performance-based exam. Complete continuing education requirements for renewal.